Playing heads up poker requires a vastly different approach than 10-handed poker, and we’ll start by examining what causes that difference. The first, and main cause for this is the fact that you’re in the blinds every single hand. At a 10-handed game, you’ll be in the blinds twice per round, which equals out to 2/10 hands. However, in a heads up game you are always the small blind or the big blind, so you’re being forced to put part of your stack into the pot every single time the cards are dealt. The other reason the strategy changes is since there are only two players in each hand, the average hand needed to win a pot will decrease drastically when compared to the average winning hand at a 10-handed game. Since the blinds are hitting you every hand, it means that each player’s stack is decreasing constantly. Because there is constant pressure on your stack, you have to play much more aggressively to recoup the money that you’re placing in the pot. Think about this: if you played your normal game and waited for hands like AK or JJ, you’ll be playing maybe one in 5 hands. This means that 4/5 times you’re forfeiting your blinds, and the other 1/5 times you’ll be playing for the pot which could result in a win or a loss. Clearly, this is not the proper heads up strategy. The right approach is to open up your starting hand ranges so you are able to play the majority of starting hands. In most heads up games, you should rarely be folding preflop. The only exception to this is if you’re playing a maniac who is going all-in every hand, because it makes no sense to limp in with a hand like 78s if you’re not prepared to get all in preflop. In the small blind, which is dealer position, I like to call about half the time, raise about half the time, and fold very rarely. Since you’ll have position on the flop and beyond, you should be raising with hands like 910s, 66, or KJ. Even if you don’t have a premium hand, you should still be limping in most of the time as long as it’s reasonable. An example of this is if you have 67 offsuit, I still suggest limping in because the hand has potential. However, if you have 27 offsuit you may want to consider folding because it is such a bad hand. In the big blind you’ll be out of position on the flop, so you’ll want to tighten up slightly. Basically, if you have a reasonable hand and your opponent limps in, just check and see the flop. When you have a strong hand go ahead and make your raise because you need to protect your hand regardless if you have position or not. If you’re in the big blind and are facing a raise, things get a little trickier. If your opponent is raising your big blind often, you need to be calling often and even re-raising occasionally to show that you aren’t going to give him/her your chips. If the small blind raised me preflop, I’d be calling with anything reasonable such as 78s or QJ offsuit because I’d expect to outplay him/her on the flop. Another factor that really mixes up your heads up strategy is the fact that many hands have showdown value that they wouldn’t have in a 10-handed game. On the flop, I feel comfortable betting out with second or third pair, simply because the odds are that my opponent doesn’t have anything better. This is a great way to win a number of pots right on the flop and to protect your hand from a suckout on the turn or river. When you actually do flop a great hand, you will want to take one of two courses of action. The first is to play it straightforward, and to bet out just like you would if you had second or third pair. The other option is to slow play it and act like you have nothing. I advocate mixing it up, but I lean towards playing it straightforward. If you’re always making the same play regardless of which pair you have, you’re going to be impossible to read by the other player. 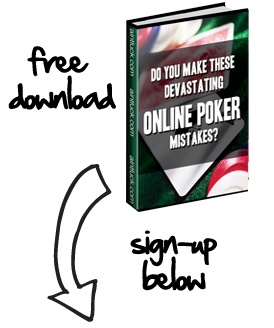 These poker sites are known to have some of the best heads up poker games for poker players.